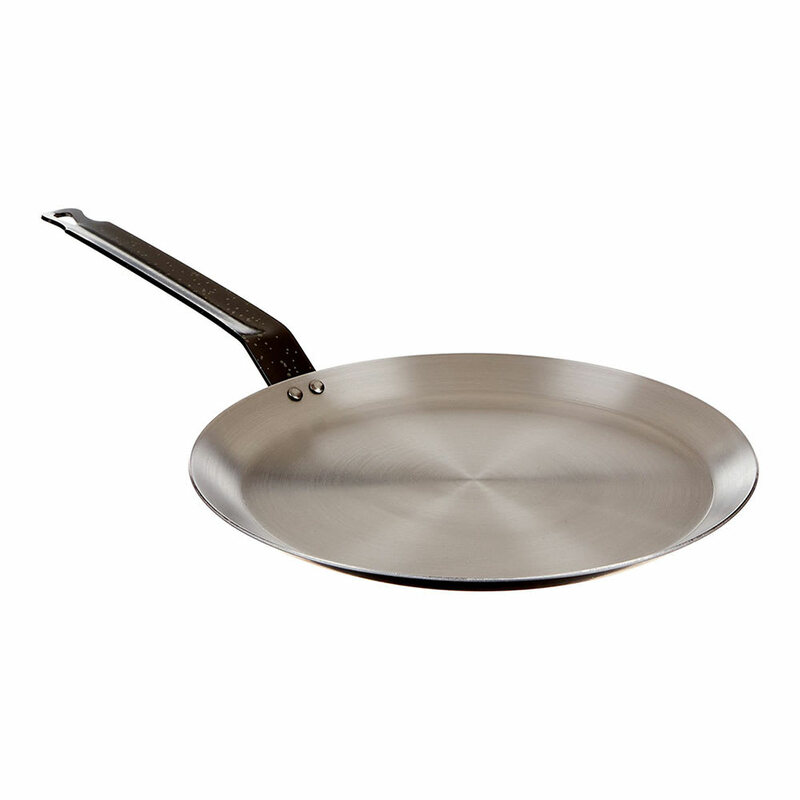 Heavier than aluminum and stainless steel, the Paderno A4172526 crepe pan is constructed of durable, bend-resistant carbon steel. Its thickness enables users to preheat for long periods, so crepes cook and form quickly, and this thickness also ensures heat distribution is uniform to cook crepes evenly. Its flat handle is made of iron and riveted to the side for strength.